The new Rukka Overpass is a lightweight, Gore-Tex® 2-layer laminated Jacket designed for adventure. Not only is the Jacket ideal for touring and adventure riding, the Overpass is perfect for commuting. With the Overpass’ loose fit it will fit over your work clothing comfortably. 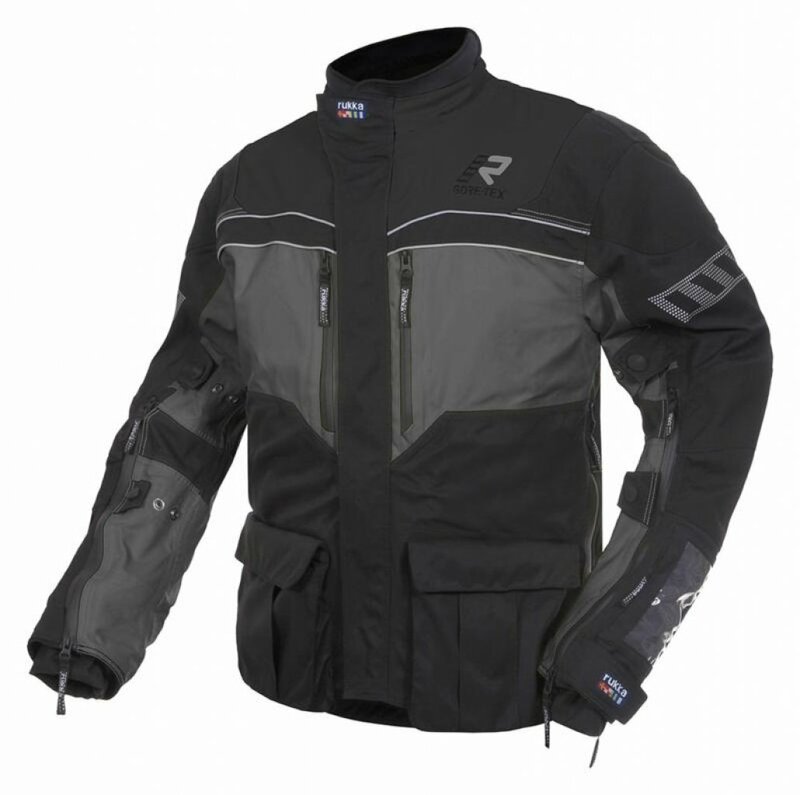 The jacket uses 500D Cordura® with reinforcement on the shoulders & elbows. The jacket features ventilation openings on the chest, back, sleeves and sides.